From the purchase of substandard productand no one is immune. In shops and supermarkets you can buy not only spoiled products which are harmful to health, but the shoes are falling apart after the first socks, appliances, refuse to work, clothing, sprawling at the seams. In this case you are required to exchange defective goods or to return money for it, even if the check has not been preserved. If you bought a defective product, do not delay his return, hastened to the place of sale. And don't forget the check. This is the main and the most important document confirming the fact of sale of substandard goods. But what if the check is lost? To defend their case will be much harder, yet it's real. Remember that when you return faulty goods receipt is not required. The fact confirming the purchase of goods, except cash receipt apply receipt to the credit cash order, a technical certificate, properly executed, manual, packaging and other documents that may contain information about the seller, value of the goods and the date of its acquisition. If any of the above documents are not preserved, or packaging, for example, contains guidance on this seller, you can ask witnesses to confirm the purchase. 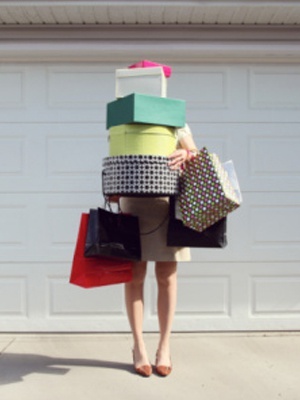 So a shopping trip with your friends or relatives is very useful thing. Difficulties may arise when returning low-quality food. Particularly difficult is to buy low-quality dietary products on the market. Spoiled and stale food purchased in the market are unlikely to be able to return to the seller to exchange for high-quality, and especially with the aim to return the money. But the return of such products in a shop or supermarket. There you are obliged to exchange the goods, although the refund is extremely rare. Going to the place of purchase, do not be lazy and read the "law on the protection of consumer rights". So you will have an idea about what the sellers owe and what you have right in this area. When returning faulty goods, please contact first to the salesman who sold you the product. If he refuses your demand, feel free to contact the General Manager, the store Manager or his Deputy. If you failed to find the truth in store, please contact the Organization to protect the rights of consumers. But before that, get to your place of purchase motivated refusal of a refund or exchange of goods. Quite often when making a purchase the seller will give the buyer a check, and the buyer does not even try to claim it. And, of course, if the thing is bought on the market, on receipt of the question. What to do in a situation when it turns out that the item of poor quality? It would be logical to contact the seller to return money for the defective item or to exchange it for a higher quality product. This can be done, even if you have no receipt to confirm the purchase of the goods. Collect all possible facts proving the purchase of the itemand a specific vendor. This may include: witness statements; consumer packaging, which has the appropriate level of the company, confirming the purchase from this seller; other supporting documents (attached to the product tag, part number, serial number of the productand etc. ), as well as any other evidence. Contact the seller with a request to exchange the goods or return the money. If the seller refuses to meet your demands, make a claim in writing that will include all available evidence of purchase. Be careful when composing, after all, in what tone it is written, depends on the outcome of the case. It is desirable to write and quite hard claim. When writing the claims use the words "I demand" instead of "I ask." Write the claim in duplicate. One of them is to give to the seller and keep the other yourself. And on your copy of the claim, the seller must make a record stating that the claim is accepted, and to deliver a signature or seal. If the seller refuses to accept a complaint, immediately call your local store or market. If the seller begins to accuse you of improper operation of the acquired things, insist on the examination, which you have every right to attend. Claims be sure to write about what ask the seller to inform about the time, date and place of the examination, so, you too have a legitimate right in accordance with the Law "On protection of consumers' rights. The examination is conducted by the seller. If the results of the examination will attest to the fact that you are not exploited, stored or transported merchandise, you reimburse the cost of examination to the seller. In the case when the results of the examination will testify in your favor, the seller must immediately return the money to you for the defective product. If the seller is unable immediately to satisfy your requirements, it is given 7 days from the date of presentation of the claim, and if there is a need for expertise, 14 days.As you can see, to achieve a return on the itemand without a receiptconfirming the purchase, you only need a little effort and persistence and determination. After spending the day in the shops, trying on a bunch of clothes, you finally found a beautiful and stylish thing which had long dreamed of. But when he got home, wearing new clothes, I realized that the clothes is not suitable to you. Do not worry and do not be afraid to include the purchased item back to the store. 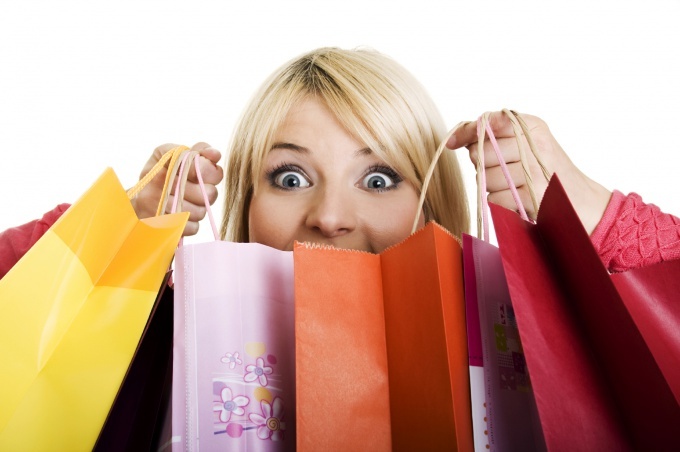 The law "on protection of consumers' rights obliges the sellers to return for the purchase money. On the basis of the law "On protection of consumer rights" you have the right within 14 days from the day of buying stuff to return it back to the store. Provided that the thing is not damaged you personally. Tell me, what clothes does not fit you in form, style, colors, dimensions, size, configuration and so on. Don't tell the seller that you've simply gone off sale. On this basis the exchange and return of goods is not carried out. Keep the receipt until the end of the return. If it still failed to save, do not worry, you have to take the product without it. In any case, remember the day when you purchased the of purchase to the seller could get on the computer and make sure you returned the thing before the end of the term. Be sure to save the label from the goods. Clothes purchased during the sale must also be returned or exchanged. If an item is discounted due to marriage, you can too to return it back to the store, but if they can find her another marriage about which you were not warned. To trade in the onlinestores of the law "on protection of consumer rights" also applies. The law says that the buyer at the time of delivery the purchase must be offered full information about the product, but also about the possibility to return it back to the store within seven days without explanation. If the company where you made the purchase, not printed on the check your address and VAT number, in this case, you may return the item within three months. And the search company will help to the tax office. 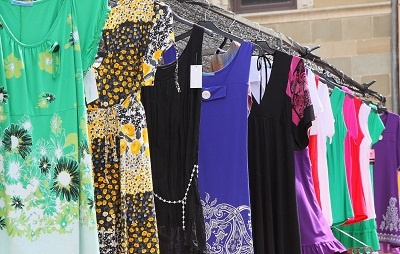 If you return clothing to the store you still were not able to defend their rights and failed to return the money for the product or replace it with another thing, according to article 17 of the RF Law "On protection of consumer rights" you have the right to apply for this shop to court. To return merchandisethat does not fit you or simply not like — you can, but quite problematic. Sellers reluctant to replace the productor return the money. To protect your rights, use the law "On protection of consumer rights". He reglamentary the work of the seller and the buyer's right to refund, replacement or warranty repair item. There is a list of the items, which are not subject to the requirement of the buyer about the refund or replacement. You will not be able to exchange or refund in case of defects, automobiles, books, personal hygiene products, cosmetics and household chemicals, medicines, household appliances and electronics. The full list is specified in the Decree of the Government of the Russian Federation of January 19, 1998 № 55. These categories are commoditys subject to replacement only in the case of detection of defects during the warranty repair or within 15 days after purchase. All other products that are not included in the above list, you can take back to the store or exchanged for others. On this you have 14 days. To exchange the itemand show the purchase receipt, directly to the goods, your passport. This should be saved in the factory packaging and appearance. Should be free of defects and traces of use. In the case of their presence, the seller can refuse to refund. If you think that the law is on your side, and the seller refuses to exchange or refund the productand you can make your claim in writing. Write it in 2 copies, one of them a store employee obliged to put a mark of acceptance. If you refuse to accept the claim, you may send it by registered letter to the address of the organization. Not to be confused with the address of the store, because the organization can be registered in another place. Within 10 days the store is obliged to respond to you. In the case of a negative decision you can appeal to court. All legal costs in cases related to consumer protection are paid by the defendant, i.e. the seller. The state fee for such claims are not paid. The return of the goods only in the presence of the package and cashier's check - this wording sounds familiar to most consumers. However, there are those who know that a defective product can be returned to the supplier, even without having the receipt, proof of purchase. Want to return a product without receipt - remember how long ago you purchased it. Not any thing can be brought back to the store within two weeks after purchase. But subject to the preservation packaging and presentation products. This means that the item must be unused or used even once. To return a defective purchase by law you can within the month. And for some types of goods , the return period is extended to 2 years. Article 25 of the law "On protection of consumers 'rights" States that you can even in the absence of a cash receipt safely go to the store to hand over not approached you the goods. However, to be taken seriously, you must be a witness of the fact that you made a purchase in this store. It can be both your friend and relative who helped you to choose the thing and remembered the fact of purchase. If there are no witnesses, as evidence of suitable branded packaging store (bags, etc. ), labels and tags, etc. Suitable as a serial number recorded in the certificate store. In General, try to use any possible information available to prove that the thing purchased in the store. Easier for those who have made a purchase through the Internet. After all, before the buyer receives his order, all the actions associated with it (shipping, payment, etc.) are recorded in the online correspondence with the customer. Usually a letter from the seller includes the serial number or the part number, size, color, model number etc. and even if the check you got, you can easily rely on these electronic data. Remember that there are a number of goods that can not return, even quoting the staff the whole of the law "On protection of consumer rights". This list includes personal care products; complex electronics such as a computer; perfumery and cosmetics; drugs and other medical products; lingerie; hosiery; jewellery; textiles; household chemicals; vehicles; household furniture; weapons; animals and plants; technically complicated equipment. If a product you purchased on the eve of the return, and the store does not want to meet, you can legally demand that withdrew cash in the past day. Cash registers overlap with each check, so you can easily find a twin brother for their lost financial document. To return a defective garment, the buyer may within the warranty period specified on the appropriate thing. If such term is not set, then contact the seller with the refund within two years from the date of purchase. 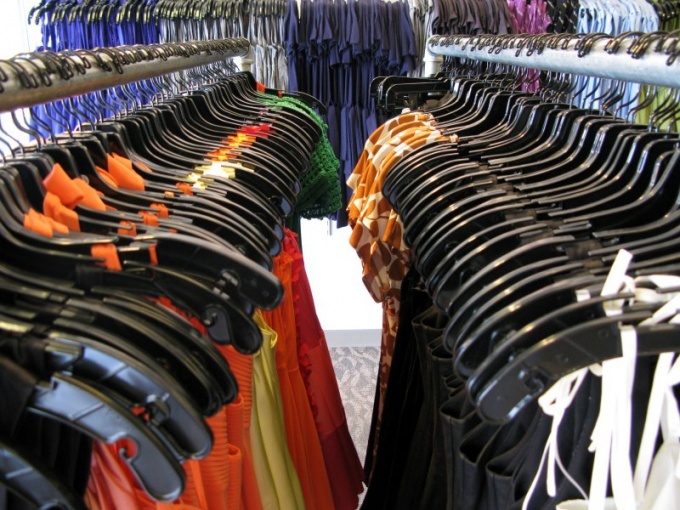 The return of defective products, including clothing, is not uncommon among today's consumers. Things with certain production deficiencies are fairly common, and buyers can choose from a few of the requirements that can be presented to the seller. So, you can simply return the defective garment to a full refund of the amount of money that was paid for it. In addition, the buyer may return the defective thing and the demand to replace it with the same product or thing other brand with recalculation of the price. To select a specific requirement, the consumer may, at its sole discretion. The seller of clothes may not influence his decision. Any defective product, including defective clothing, can be returned to the seller within the warranty period, which is set to the appropriate thing. If the specified time for any reason is not defined, the period of defect and return is two years, which shall run from the date of receipt of the items by buyer. If you purchased the defective clothing is seasonal, designed to be worn at certain times of the year, then the warranty period is calculated since the start of the respective season. If the sale was carried out in the online store, and the goods were sent by mail, the specified period starts with the receipt of clothes in postal organizations or other means. What you need to do to return defective clothing? The buyer of defective clothing to return goods to the seller is enough to apply with the appropriate application. Thing defective also will be returned to seller, and subject to availability, are attached to the statement of commodity or cash vouchers. The absence of such checks could not be considered a basis for denial of the claim on the return. The statement should initially be in writing, to painting authorized representative of seller acknowledging the receipt of appropriate treatment. If the seller refuses to return money to the buyer or meet other stated requirements, the buyer of defective clothing should be treated in the public organization, the CPS, and if necessary make a claim in the courts.